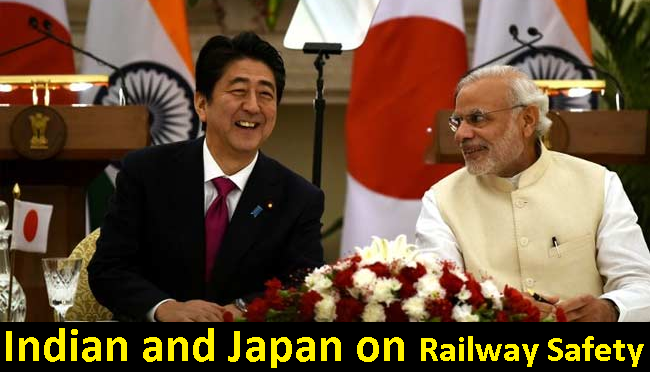 New Delhi, 3 May: The Union Cabinet on wednesday, chaired by the Prime Minister Shri Narendra Modi has given its ex-post facto approval to the signing the Memorandum of Cooperation (MoC) with Japan on Railway Safety. The MoC has already been signed in February, 2017.
iv. Any other relevant railway safety matter jointly determined by both the sides within the scope of this MoC with consideration for major railway accident preventions based on the analysis of accident causes. 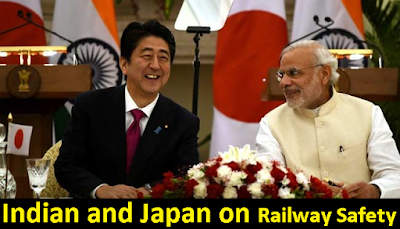 d. Facilitating the participation of other institutions, organization and ministries, including contribution of National Traffic Safety and Environmental Laboratory of Japan to Research Design and Standards Organisation, Ministry of Railway, Government of India (RDSO), subject to their respective national laws and regulations where appropriate and possible.